Sign up to get free email updates and future articles! By whatever name you call it, it still means long term COST SAVINGS to those who are wise enough to recognize the benefits and walk down that path. Most savvy manufacturers and service providers today are at least familiar with the term "Lean" in some form or fashion. Sadly, many have not embraced the concept and have continued to do what they do, the same way they have always done it. The bottom line result is that they miss out on all the well documented benefits which all relate to cost reduction, waste elimination, better profitability, and improved business performance to beat the competition. Lean 2 Green is the latest installment in the Lean methodology tool box which is currently gaining notoriety around the world. Lean 2 Green is the process of combining the well known principles of Lean with resource conservation practices which help identify and eliminate environmental wastes providing businesses with even more cost savings on top of their Lean initiatives. It also protects the environment and helps insure the future of our world by promoting good stewardship. Environmental waste, as defined by the EPA and to be addressed by the Lean 2 Green methodologies, is any unnecessary use of resources. Environmental wastes do not add value to the product or customer and are in fact consumed in excess to meet the customer's needs. Environmental waste is also defined as substances released into the air, water or land that can harm human health or the environment. These issues have typically been addressed through existing laws but Lean 2 Green may be able to improve these issues as well. We believe the journey begins with awareness, problem orientation and training, very similar to beginning the Lean journey. Wayne Russell & Associates provide comprehensive, flexible and scalable training programs, at your location, that can train your staff in Lean 2 Green methodologies. 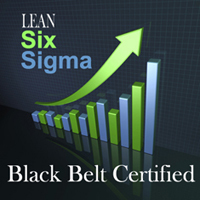 We also provide traditional Lean training in which we train and certify green and black belts to include coaching and mentoring. Please call for more information on how to begin your Lean and Green journey today.